I had a phone call yesterday from a family vacationing in Rockport, TX about where the best place to go fishing with-out a boat? 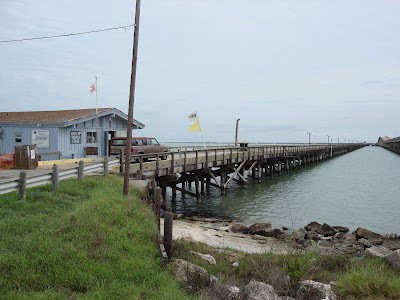 I shared with her that just a little North of Rockport was Copano Pier that runs right along side the LBJ causeway that bridges Copano Bay. 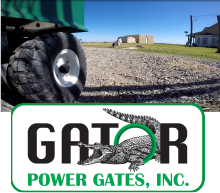 They have a North and South entrance and usually will have live bait on hand. 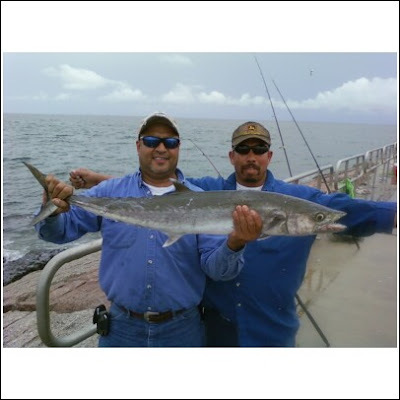 There's also the Fulton Pier that offers fishing Aransas Bay area. If you you have any other suggestions comment on this post. Captain Woody Thompson caught this 46" redfish today at 9 mile Hole using a norton sand eal. The weather was absolutly georgous hardly a cloud in the ski. 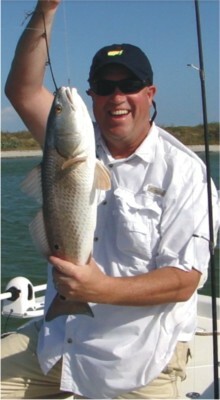 Woody's favorite type of fishing is sight casting schools of redfish. Some days there biting and others there hitting hard. Congratulations Woody! 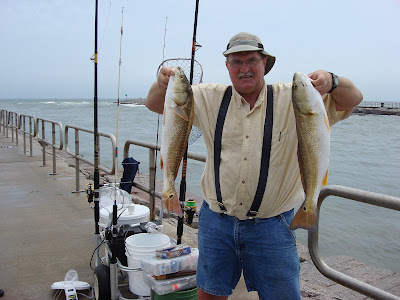 Eddie Bales From Wichita Falls Texas is out this week at the Packery Channel Jetties with his Brother Randy (Sanger TX). They both caught some nice redfish 24 & 25 inches on live mullet. You have to look at the fishin rig directly behind Eddie. These salty old anglers take there fishin seriously. They're out here with family to enjoy a nice vacation of relaxation, family fun... and of course Fishin! Andrew Garza caught this 35" Redfish at the Port A Jetties on Live Croaker. Woody caught this 36" redfish at the Baffin Bay Pier last week on cut bait. Thanks for sending in the picture! Woody sent this picture to dave@justgofishin.com from his cell phone. 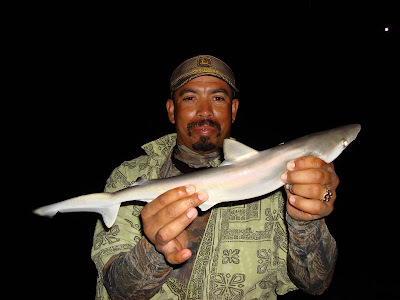 Raymond caught this 20 inch Black Tip Shark at the Packery Channel Jetties tonight. Fishin was a little slow due to weather. But is always fun to catch a shark! He tossed him back to get a little bigger. Caught this nice 40" King Fish at the Packery Channel Jetties. 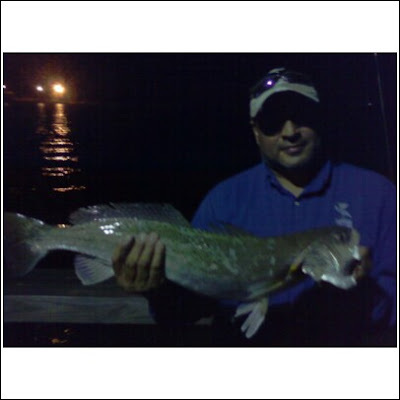 Ben Torres caught this 30" Speckled Trout at the Baffin Bay Pier on cut bait. Nice Job! Kyle Pilaczynski & Raymond Woodson caught these nice redfish and trout at the Packery Channel Jetties last week. SWEET! They went to Clem's to fillet them up for dinner! Good Job Guys! Nice to finish the day off with a nice swim to the Great Sounds of "The Beach Boys". Great day with family & friends. Daniel Lawless great catches. 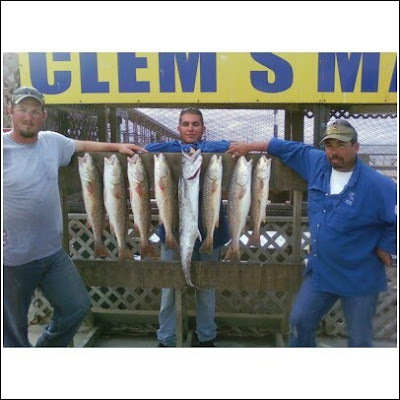 17 inch speckled trout & a "Look Down" caught these over at Clems pier. Another great day on the water this weekend! This time were sea dooing with family & friends. This week we finally completed the task of licensing these watercraft and having them serviced & repaired. now its time to just enjoy the day! 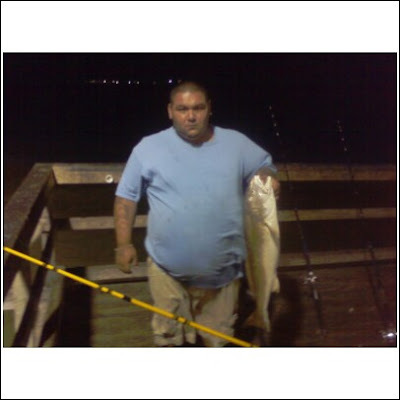 Captain George Garza took his wife out fishing around the Laguna Shores road from boat and caught several slot reds and some keeper trout. 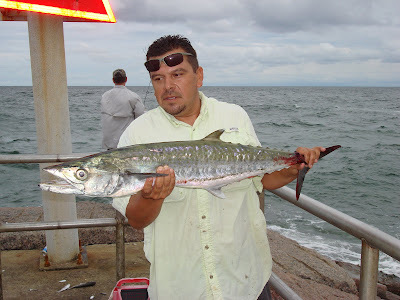 Carlos caught this 42" King Fish at the Packery Channel Jetties today after a nice down poor of rain. He was using mullet and an 8' rod and took him about 35 minutes to pull him in. Sweet... Nice Catch Carlos! At Clem's today and ran into Tim where he caught nice trout this morning. Caught on Live Mullet by causeway bridge. 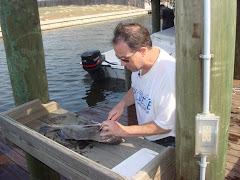 Mark was cleaning several trout at Bluff's Landing after a great fishin morning at Deadman's Hole. Using live piggy perch. Great Job! Church of Jesus Christ of Later Day Saints & St. John's Methodist team up to help a local resident of Corpus Christi repair her home after damage from the next door home explosion a few months ago. Today & tomorrow work teams will demo & rebuild roof & some walls that were fire damaged. I'll be ready for some fishin on Monday! 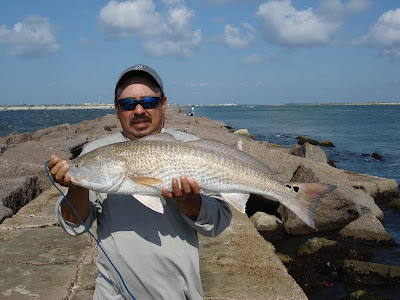 Phil from Flour Bluff caught this nice Redfish about 24". Fishing from the Bob Hall Pier the fall seems to be good time of the year for Reds. Using a silver Cordell. Sweet! This was his 2nd Red of the Day.